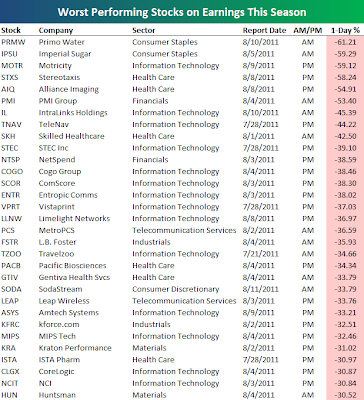 Bespoke Invest blog reports this earnings season was the worst in terms of stock reaction, since at least 2000. 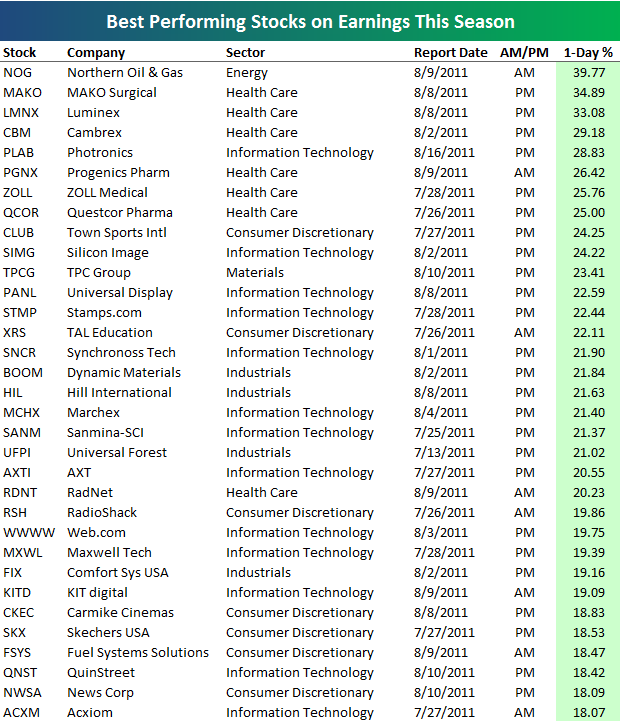 The average one-day change in response to earnings for the 2,150 companies that reported was a pathetic -1.92%. The second worst earnings season came in Q3 2008 when the average stock declined 0.70%, so this season was more than two and a half times as bad as the previous worst earnings season. Sixty-percent of companies that reported went down in response to their reports, and nearly 30% went down more than 5%! That's an astonishing number. 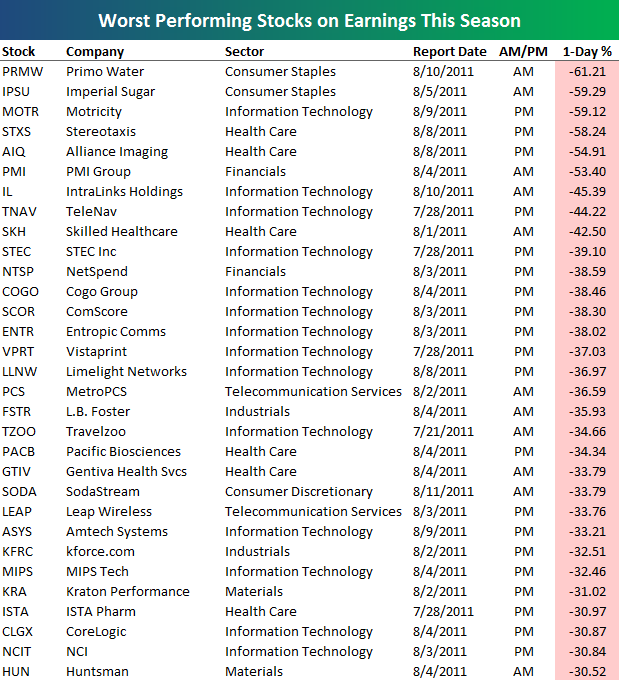 Eighty-three companies that reported lost 20%, or a fifth of their value, on the day of their earnings reports. 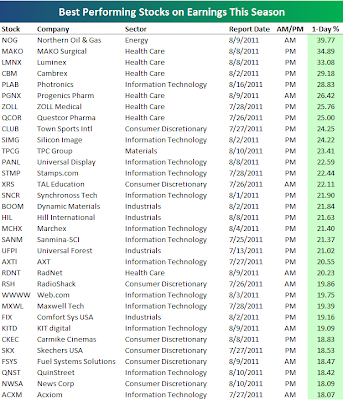 Of course for those who have much more patience and like 'value' there is also the lovable losers list - here are 31 companies who lost at least 30% of their value post earnings report. With at least some of these, once they create a longer term base there could be opportunity as well.